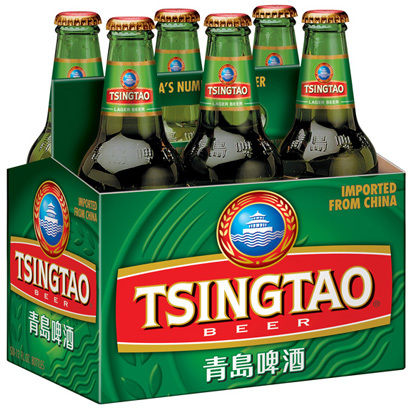 Since its introduction in 1972, Tsingtao Lager has been the top-selling Chinese beer in the United States. Tsingtao is a German-style pilsner with a slight malt flavor and a sweet nutty taste. Tsingtao Brewery uses the highest quality hops, the finest barley and yeast imported from Australia and Canada in Tsingtao beer. The brew is made with spring water from the Chinese mountains of Laoshan, an area known for the purity of its water. China’s No. 1 consumer export, Tsingtao Lager’s sweet flavor is the perfect complement to any spicy or flavorful Asian dish. Visit the Tsingtao Beer website.